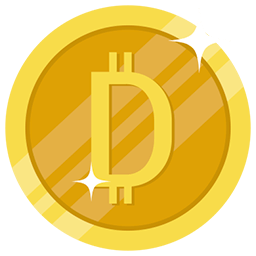 Dimes are a unique way to get exciting gifts on DesiDime. We wanted to give recognition to our Dimers, who make sincere efforts to share the best deals they find on the internet with everyone, and we wanted to encourage our new users to experience the joy of sharing. 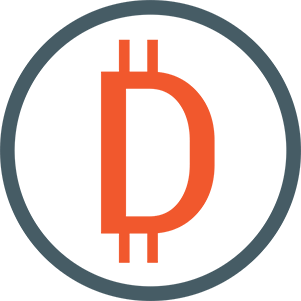 This gave rise to the idea of having Dimes, a special currency on DesiDime which can be used much like real money. 1 Dime = 1 Rupee. Dimes also add a bit of enthusiasm to the discount-hunting experience on DesiDime. Thus, as a token of appreciation for contributing to the community, you are given Dimes, which can be redeemed to buy exciting gifts from your favourite stores. How do I earn Dimes? By giving back to the community. By being a frugal shopaholic. Keep checking this page regularly for updates to earn more Dimes. We may also come up with new ways to earn more Dimes during special contests. But on a daily basis, if you follow the sharing mantra, you are guaranteed to receive numerous gifts at your doorstep, absolutely free. Please remember that any unfair means of earning Dimes will result in an instant ban from the community and all your Dimes will be instantly revoked. So, be fair and sincere in your efforts. How do I start earning Dimes? It’s simple. Sign up with us today; start contributing to the community and start earning Dimes. What gifts can I get? Check out our Gift Shop to select gifts from a wide range of products. We keep adding more gifts to the shop from time to time. How do I redeem Dimes for gifts? You will require a minimum of 200 Dimes to redeem a gift, for the first time. Once you have crossed that threshold, you can browse through the Gift Shop and decide on what you would like to receive. Then click on Redeem, fill out the form and hit Submit. Make sure you enter the correct Product URL, price and shipping address. Once the gift is shipped, we will deduct the Dimes from your account, and send you a confirmation email. After the first time redemption, there is no minimum amount of Dimes required to be able to redeem them. You can buy gifts for yourself with your Dimes anytime you wish. Why is there a daily cap for certain activities? We encourage you to post as many deals as you find. However, to maintain the quality of deals submitted and to benefit other members of the community, we have enforced a cap on the number of Dimes, you can earn for some activities. Once you have reached the cap on a given day, you will earn no more Dimes, for that activity. However, it does not prevent you from earning Dimes for other activities. For example, if you submit 20 new deals today, you will get only 15 Dimes only for the 15 hottest deals you have posted. My Dimes were revoked. Why? Sorry, I guess you were trying to be cheeky! Did you re-submit a deal? Did you start a duplicate topic? Did you use Ctrl + c and Ctrl + v to post the product review? If your answer is "yes" for any of the above question, you know why ;). If your answer is no, send us a mail at [email protected], and we will surely look into it. I follow you on Facebook/ Twitter/ Google+. But, I never got my 10 Dimes! Thank you for following us on Facebook/ Twitter/ Google+. We cannot automatically track if you are our Facebook/ Twitter/ Google+ fan at this point. So, you need to email us your DesiDime user name, Facebook profile URL and / or Twitter ID and / or Google Plus profile link at [email protected], once you follow us on those social media platforms, and we will add the respective number of Dimes to your account within 48 hours. Can I transfer Dimes to my best friend? Sorry, that feature is not available. All Dimes are non-transferrable. Can I convert my Dimes in to cold, hard cash? Sorry, that feature is not available. But, you can always redeem them for exciting gifts. What is the value of each Dime? Roughly, 1 Dime equals to 1 Indian Rupee. However, it can fluctuate over time like any other currency. *Note: Community users inserting meaningless/ useless posts or product reviews will not be entitled for gifts. Banning such users will be at the sole discretion of DesiDime management and cannot be challenged.